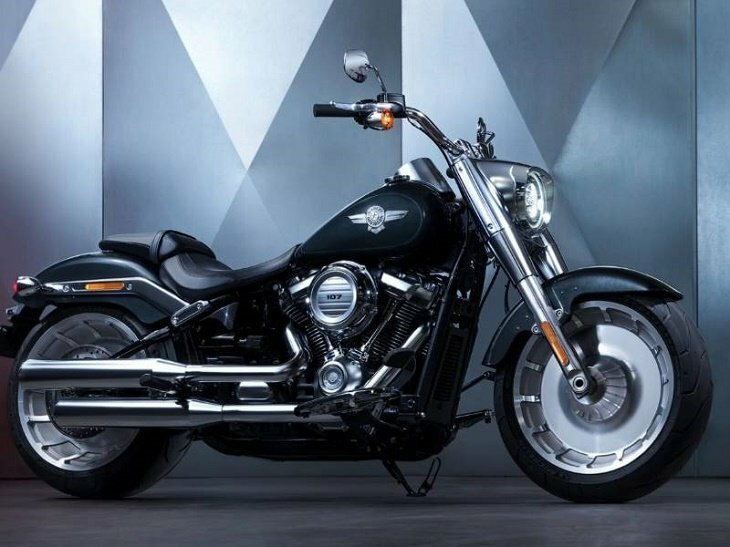 Unlike most of the other motorcycle models, Harley Davidsons are always in high demand – whether used or new. As long as the bike you wish to buy is in excellent condition and meets all your requirements, there is no reason why you shouldn’t go for it. However, in case what you are looking for is a used Harley Davidson, then you need to do your homework well so that you end up with the right bike for you. Start by checking the exterior as well as the performance of the Harley you are interested in. Similar to buy any other used vehicle, you first need to see if it meets your expectations. Kick start the engine and check the sound. Then, examine the exterior for dents, rusts, and any other flaw that might give you a bargaining chip if you decide to buy it from the owner. This is another point you must check before you commit to any used Harley Davidson. In fact, the rest of the guide below will prove useful if the bike that is being sold to you was stolen. Therefore, you might want to go over in person and check the VIN to ensure that the numbers have not been re-stamped. Remember, Harley Davidsons tend to carry a high theft rate, so you shouldn’t be too surprised if you come across one that looks fishy. Where possible, carry pictures of numbers stamped at the factory to make comparison easier. After all, you might not be able to tell how a knocked over VIN looks like. After eyeballing this, you should go over the title numbers and see if they match the headstock. 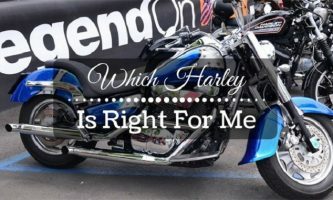 If you’ve ever bought a used Harley Davidson in the past, you probably understand titling fixes and errors, and you should be able to spot one at a go. Apart from the above factors, you might also want to check the mileage reading. This is one of the main bases for the price of all types of used vehicles – including used Harley Davidsons. The number will help you bargain if the offer price does not match the mileage. 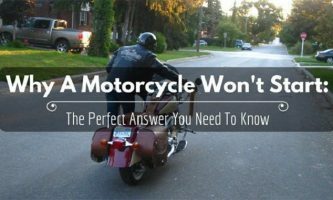 While shopping for a used Harley, the chances are high that you would not be able to tell what the bike has been through in the past. To this end, it is highly advisable that you learn more about its history before you commit to buying. Ask whether the bike has ever been submerged under water or been involved in accidents of any sort. The information you will receive will help you discern the quality and overall state of the Harley, and decide whether it is worth your investment. You should also ask the owner to show you a record of receipts on the bike. In case they agree, then this is a good sign that they have been taking good care of the Harley, even if it is used. In most cases, a well-maintained bike will have matching tires, waxed paint, and look shiny. The owner should also have replaced wear items such as seat covers and grips. As you will soon discover, people hardly ever remain fastidious with some parts of a bike while remaining lax about others. 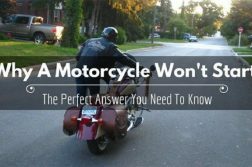 In most cases, they will either love the Harley or neglect it entirely. 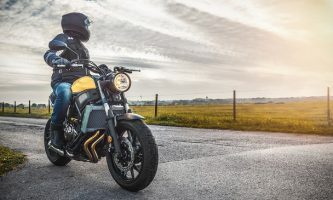 If you spot any evidence that the owner left something in a state of disrepair for an extended period, then this is a good indication that the used Harley Davidson will have other lurking defects. In the same way, if the owner provides you with all keys from the factory, paperwork from the aftermarket equipment, a proper owner’s manual, and a box of the OEM takeoff pieces, then you can rest assured that the bike is in excellent condition. The only flaw is that the Harley Davidson might have fallen into disrepair due to disuse. In this case, you should check the level of oil, as well as the level and color of the brake fluid. If it is black or dark brown, then you’ll know the owner was lax. However, if it is pale yellow, then you are in luck. Similarly, check for rusty chains, leaky fork seals, pitted fork tubes, and dry cables. If there’s a leak of any kind, then you should move on to the next used Harley Davidson you are thinking about buying. 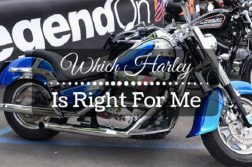 While shopping for a used Harley Davidson, you might want to ask the owner a couple of questions to find out whether they have been taking good care of the bike. If you get an opportunity to meet in the person, observe how they carry out themselves and try to discern whether they value their property. 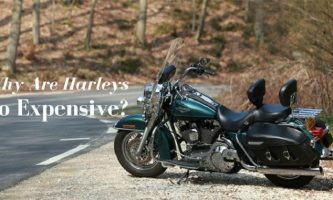 In most cases, you will find that Harley owners are quite conscientious about their bike. 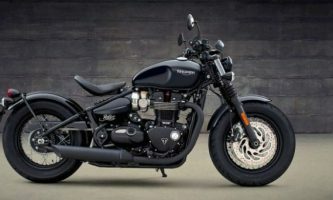 Since they probably paid a considerable amount of money when they bought the motorcycle, it would be in their best interests to take good care of it. However, this doesn’t necessarily mean that everyone who has a Harley in the driveway is a great owner. In fact, you will be shocked at the grievous state most owners leave their bike in. 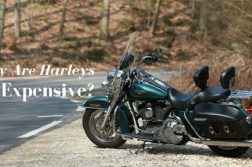 Although used Harley Davidsons cost less than new ones, they are pretty expensive – especially if the owner took good care of the bike. However, you certainly don’t want to go over budget just because you came across a dream Harley. Before you go shopping, therefore, it would be a good idea if you understood the market values of different Harley models. Take some time to research and find out everything you can about the price ranges for various used models. If all the factors listed above check out, ask the owner if you can give the used Harley Davidson a test-ride. As long as everything meets your expectations (or exceeds them, depending on the condition of the motorbike), get back to the owner and buy it. Overall, finding the perfect used Harley Davidson will take some time, energy, and money on your part. However, at the end of the day, it will be worth the investment. I hope you enjoyed this article, please leave us your feedback in the comment box below. Share it with your fellow biker friends if you think it’s helpful. Next Article What Does Hayabusa Mean? Why Is It The Most Wanted Bike? 0 Where In The World Are Triumph Motorcycles Made? letsridemotorbike.com is a participant in the Amazon Services LLC Associates Program, an affiliate advertising program designed to provide a means for sites to earn advertising fees by advertising and linking to Amazon.com. Amazon, the Amazon logo, AmazonSupply, and the AmazonSupply logo are trademarks of Amazon.com, Inc. or its affiliates.